These underground stations are an ode to art, good taste, and architecture. Contrary to what is the common denominator of the underground, these have spaces more open than normal and with a luxury that will make users enjoy much more of their way home. 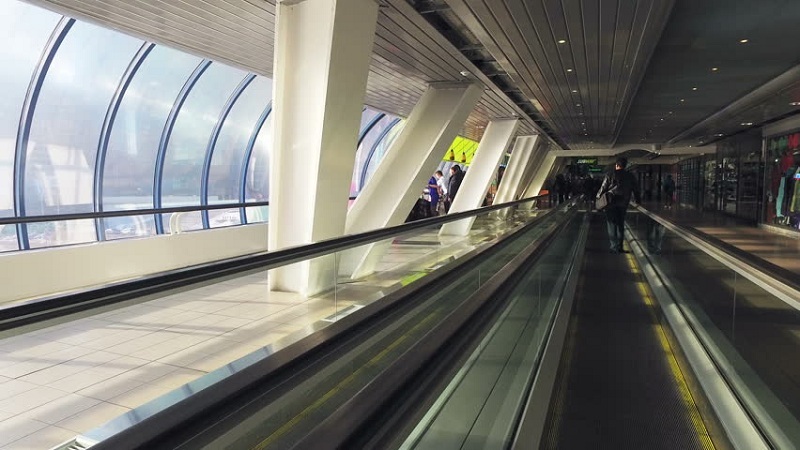 There are some subway stations that go beyond its main function, which is nothing more than providing a fast and effective transportation for citizens of the certain city. 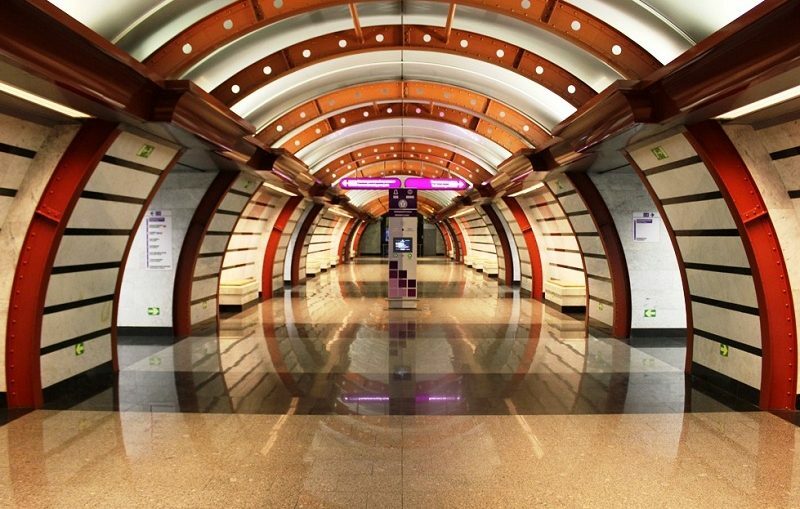 We invite you to visit some of the most beautiful metro stations in the world. Dubai is one of the most modern and extravagant countries of recent times. All his works seek to highlight the majesty of the kingdom and subway stations could not be less. 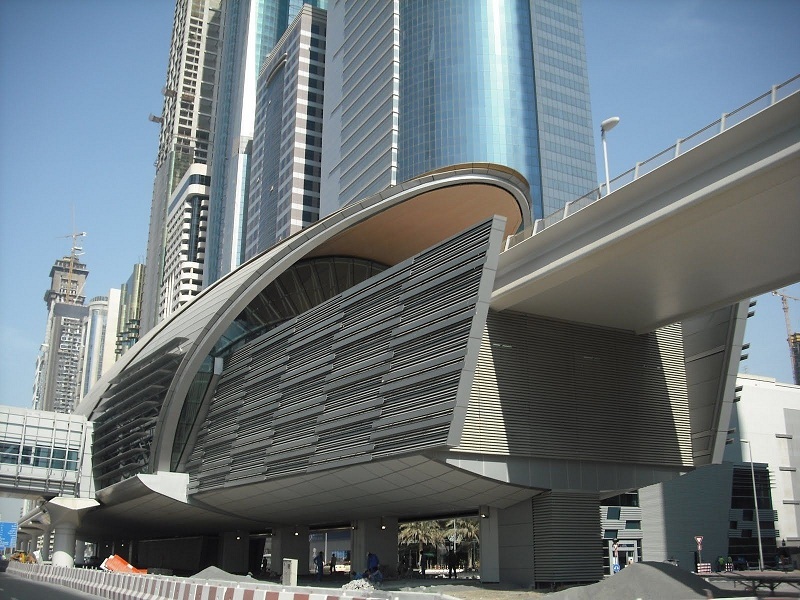 We cannot choose one Dubai Metro station because all stations are spectacular, spacious and luxurious details wherever you look. The first phase was inaugurated in 2009 and is since then the longest automatic network in the world, surpassing that of Vancouver, Canada. Moscow Metro has a station which is a real piece of art, the Komsomólskay station. 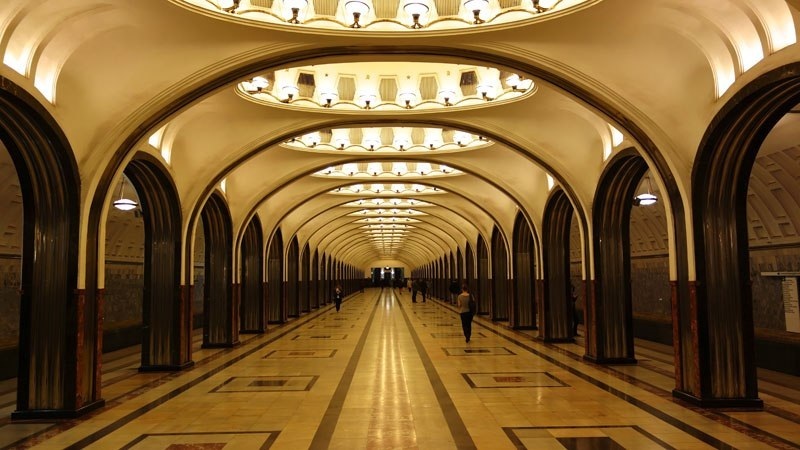 When you visit the station Komsomólskay you can enjoy the spectacular dome that owns, the beautiful mosaics on the ceiling work of the artist Pavel Korin and the imposing Corinthian columns. The beauty of this station is of such magnitude that both its architect Alexey Schusev and the artist Pavel Korin received the Stalin Prize. The station was inaugurated in 1952 and since then has been a reference point for tourists as one of the most beautiful places in Moscow. 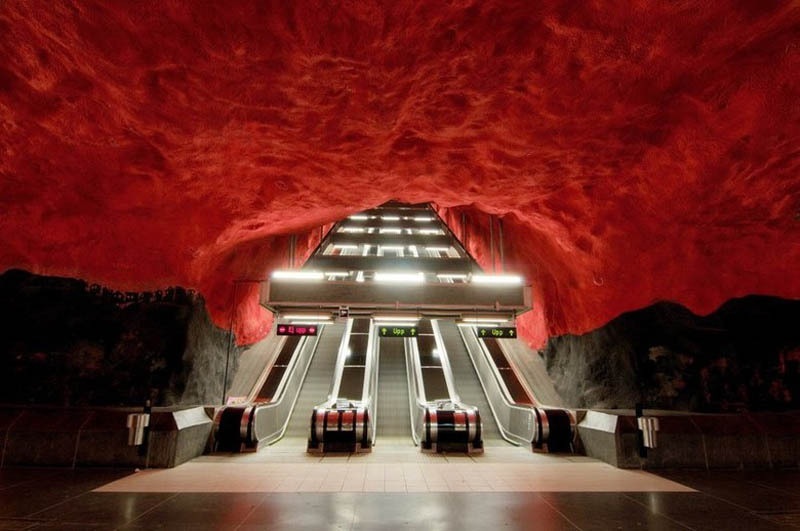 The Stockholm subway is world-renowned as “the largest art museum in the world”. That description and you can imagine the extraordinary beauty that lurks in all seasons. Beautiful works of art can be seen at all underground stations in Stockholm. However, the main station T-Centralen is one of the most spectacular was painted by the Finnish artist Per Olaf Utvedt and certainly stands out above the others. Would you like to meet her? The subway of this Italian city is one of the biggest visual spectacles in the world. 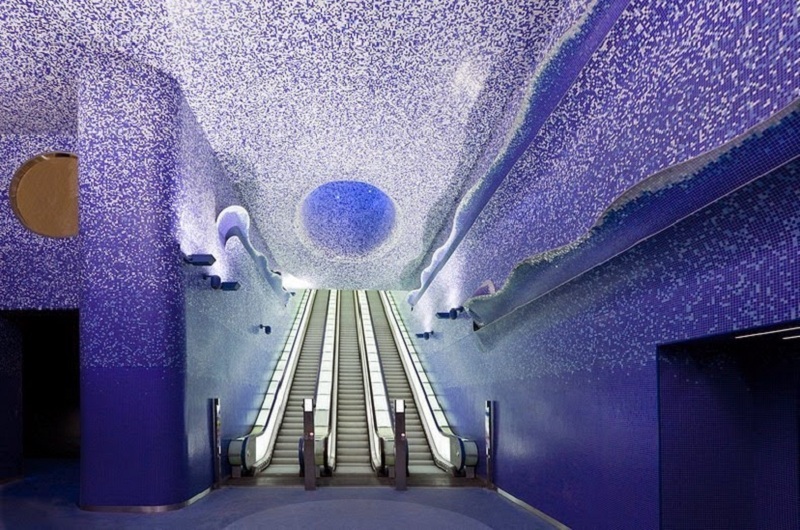 Thanks to a project that has been proposed to renew the underground stations of the Italian cities, today the city of Naples the award for the most spectacular underground, especially Toledo station takes. Toledo station was opened in 2012 and has been called “the most beautiful subway station in Europe”. The Spanish architect Oscar Tusquets Blanca was the one who designed the station, which is composed of refined mosaics, panels with LED lighting and a relaxing seascape. The station Drassanes, Barcelona is one of those places that make you feel in a space movie. A team of architects renovated the station in 2007, changing the typical walls of concrete-reinforced panels with crystals, which gives it that special space air. If you’re not one of those who really likes the futuristic architecture, but instead you would like to move to ancient times and enjoy the neoclassical architecture, the Russian station located in St. Petersburg Avtovo is for you. This luxurious resort was designed by YA Levinson and inaugurated in 1955, despite the years still, retains all its charm and splendor. The lavishness of this season is evident in the glass coating many of his columns as well as the walls of white marble, the giant chandeliers and the most beautiful and delicate ornaments. These metro stations are works of art through which users enjoy a pleasant and cultural space. Taking the subway in these cities is a real pleasure, so you know, in your next trips you cannot miss the metro stations of the city, and you may take a very pleasant surprise.